Many Colorado summer camps have a uniform, one-size-fits-all approach to daily camp schedules, and this can be fine for the established camper with defined interests. However, particularly for younger campers, a customizable schedule can make for a better summer camp experience. 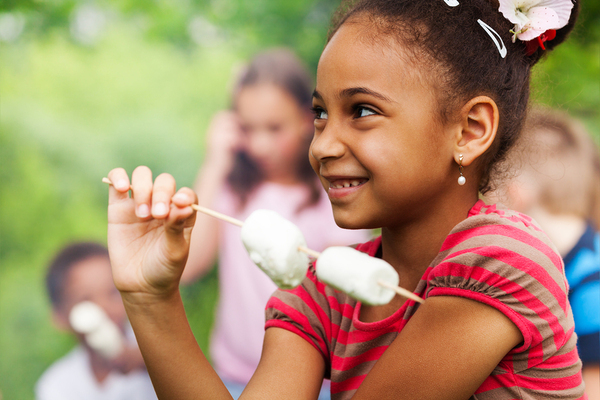 You can customize summer camp schedules to your child’s needs. Here are the top seven benefits of a customizable camp schedule in Colorado summer camps. Maturity and comfort levels can vary significantly among school-age children, and the daily camp program that’s right for one second-grader may be too overwhelming or too boring for another. For camp to be a positive experience for families, it’s important that parents choose camp programs in accordance with their children’s maturity level, personal interests, and comfort level around new people. Customizable camp schedules help make the whole experience more positive, so that kids finish camp with a sense of accomplishment. Some children learn from a young age what their passion is. For these kids, spending the entire day playing tennis, learning coding, or playing a musical instrument is what they want most from the summer camp experience. Customizable summer camp schedules make it possible for kids with strong interests to indulge them in a safe, supportive environment, surrounded by others with the same interests. Not all Colorado summer camps offer immersive experiences for children with strong interests who want to advance their skills. When you can customize your child’s schedule to make the most of their summer exploring their passion, you give them the summer of their dreams. Many children are still discovering their interests, and that’s fine. Customizable camp schedules help kids branch out and learn new things as well. Maybe your already-musical child wants to develop their singing voice. Or perhaps your enthusiastic gamer is interested in learning how computer games are made. If your LEGO enthusiast is expressing more interest in robotics, guess what? There’s a camp for that. Colorado summer camps that help kids take their existing interests in new directions can spark new energy in an otherwise ordinary summer. Day camps and half-day camps can be ideal for the more reserved young person who is interested in making new friends, but who may still be reluctant to try new things away from family. 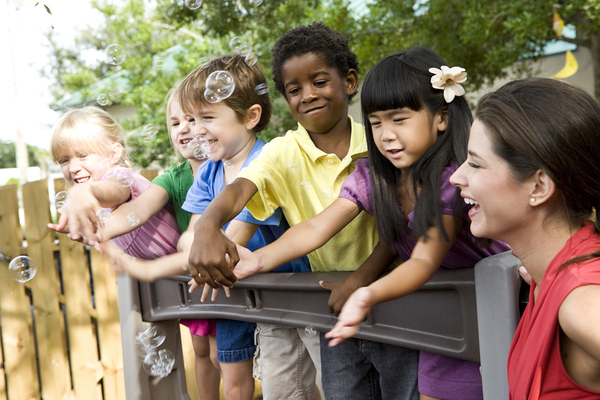 Day camp or half-day camp can be great for the child who is ready to develop their social skills. Because summer camp is about fun, they won’t face the pressures they do in school, and well-trained counselors are attuned to different personalities, ready to help kids try new activities in an environment that is designed to help them succeed and have a great time. The social skills kids develop in their early summer camp experiences can carry over and have positive effects in the school year as well. Camp can be the ideal way for a child to try something absolutely new. Your competitive athlete child may have wondered what it would be like to learn yoga. Maybe your cerebral bookworm has always wanted to learn archery. There may be no better way for children to try something completely new than to attend camp, because they aren’t as constrained by the roles they adopt during the school year, and they’re in an environment where other campers and counselors want them to succeed. If your child wants to try something that’s outside their usual comfort zone, perhaps you should check out what camp has to offer. Anyone who thinks that parent schedules are easier when school isn’t in session has never coped with summer schedules of siblings. Sometimes parents need a little help in making summer work for everyone, and customizable summer camp schedules can provide this help. If half-day camp for the first-grader makes it easier to get everyone else where they need to go, the benefits can be immeasurable. Kids don’t always want to tag along on errands or wait while their sibling attends endless team sports practice, and camp can ultimately make summers a lot more fun and less stressful for the whole family. Maybe you have great memories of summers spent at camp, and you hope your children will have their own great summer camp memories someday. But maybe they are not quite sure if they’re ready for sleepaway camp. Customizable summer camp schedules like those offered by Colorado Academy can be the ideal solution. Day camp that culminates in a single overnight stay may be perfect for assuring your child they’re ready for overnights away from home. Or perhaps “Overnight Without the Night” camp, where kids do all the traditional overnight camp activities (including s’mores!) and then return home at night will whet your child’s appetite for a more immersive camp experience next year. Colorado summer camps offer some outstanding experiences, but not all of them offer customizable schedules. Colorado Academy offers a huge range of customizable camp schedules for kids of all ages. We invite you to contact us to learn more. This could be your child’s best summer yet!